Enjoying a peaceful retirement is much easier when you have a healthy bank account, a happy family and you are not struggling with poor health. 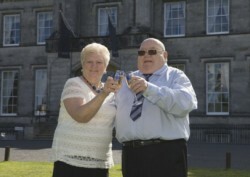 James and Catherine Paterson have two of these prerequisites met after they won the National Lottery jackpot worth more than £1 million. 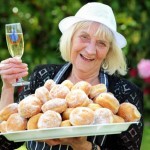 The only things that bother them are health problems, but these are somewhat inevitable when you get old. 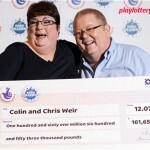 Catherine and James used to play the National Lottery pretty often, but never won a big amount and didn’t expect to win the jackpot either. That’s why, one day after the lottery drawing, they checked their tickets and at the first glance it appears like they won the second-tier prize worth £1,000. 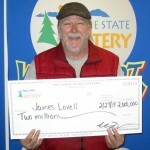 Without being a life-changing amount, it brought a lot of happiness for the two retirees, who were thrilled with the idea of being lottery winners. Things turned from good to better when their youngest son double checked the numbers only to discover that they won 1000 times more. Catherine was the first to realize the good fortune and at first she didn’t think that was possible, but soon enough she accepted reality. It all happened so fast that the entire family was taken by surprise, so they need some time to allow the good news to sink in and decide what to do with all this money. The two retirees lived happy lives even before winning the National Lottery but the money will make it easier to preserve this happiness while addressing all financial concerns. The two retirees would’ve won three times more, but two other players matched the winning numbers and as a result the money was split three ways. James who used to work as a taxi driver couldn’t care less about this occurrence and said that he is just as happy for 1.1 million pounds as he would’ve been for a bit over 3 million. At the end of the day, this is a healthy approach, because it is hard to believe that what you can accomplish with $3 million can’t be done with just 1 million, especially when you are retired. 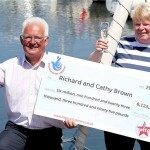 The lucky couple is now preparing for a lengthy vacation, something that would’ve been out of reach hadn’t they won the National Lottery jackpot. At their age, it comes as no surprise that they have no intentions to launch a business or invest most of the money, but James and Catherine told the media that they plan on moving in a slightly bigger home. After paying all outstanding debts they will still have more than enough to take better care of themselves and improve their declining health. 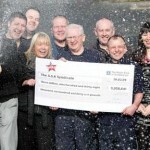 Check out the National Lottery expects to make a record number of millionaires as well.